Plain packaging legislation has long been used as a way to control the growth and appeal of tobacco around the world—but at what cost? Imagine walking into a humidor that has dozens of different companies represented with hundreds of SKUs, but every cigar and tobacco product on the shelf features the same band or box color, a similar font style on the front, and each one is presented and marketed the same way. This scenario not only presents a massive problem for consumers trying to choose a product to try; it also presents an issue for the retailers trying to sell those products as well as the manufacturers trying to convey a marketing and brand message in an already competitive market. Plain packaging has recently taken center stage as manufacturers and retailers in Canada engage in an ongoing battle with the Canadian government over a new bill that threatens to impose strict rules on the way tobacco products can be marketed and presented. Plain packaging, which has been around for several years, is a tool many governments employ as a form of tobacco control. Plain packaging aims to standardize how tobacco products are marketed in an effort to prevent what a particular government may perceive to be misleading consumers about how harmful a tobacco product may be. Plain packaging measures also restrict, if not outright ban, how tobacco products are advertised and promoted by imposing rules on packaging’s labeling and the use of logos, as well as by requiring the addition of warning statements other elements that may appear to make the tobacco product appealing. 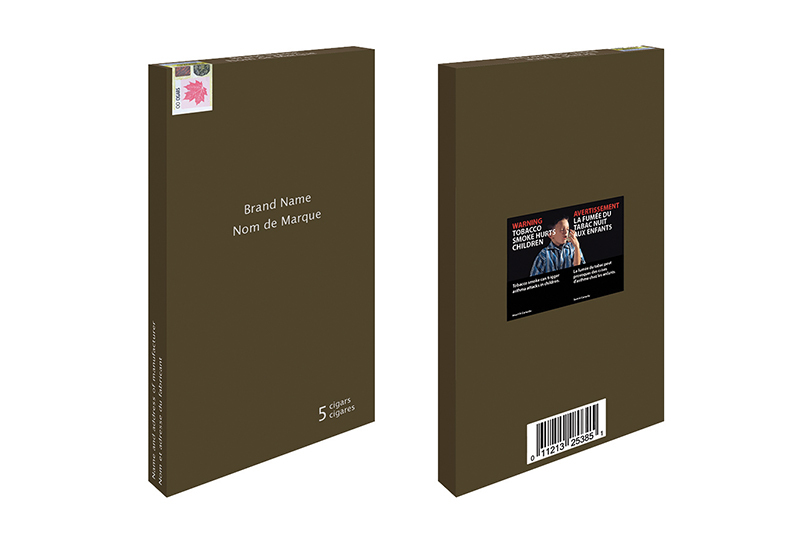 In short, plain packaging aims to reduce tobacco consumption by making the product appear boring and unappealing. Though it is currently making the news in Canada, plain packaging is nothing new. In December 2012, Australia implemented plain packaging following decades of strict measures and legislation whose enforcement earned the country the nickname of being the world’s “darkest market” in the tobacco industry. Australia banned television and radio advertising for tobacco products in the 1970s, on billboards and outside of businesses in the 1980s, in sports sponsorship and print media in the 1990s and through retail display in the mid-2000s. The only thing left to attack without completely banning the products themselves was packaging. Those efforts led to a decline in tobacco use among Australians and a decrease in tobacco use among the country’s youth. In addition to plain packaging, Australia has also used tobacco tax hikes and graphic warning labels to curb tobacco use, two measures that have also been adopted in other markets with varying results. Since Australia initiated its effort, other countries, including the United Kingdom, France and Northern Ireland, have also passed some form of plain packaging legislation. Most recently, the Canadian parliament passed Bill S-5, an act that has many tobacco businesses up in arms. When it comes to marketing and selling tobacco products in any country, companies rely on packaging to communicate brand values and messaging. With Bill S-5, however, that expression could be a thing of the past as standardized, lackluster plain packaging takes over. Bill S-5 overhauls Canada’s 1997 Tobacco Act, which regulates how tobacco products are sold, labeled, marketed and promoted. Under this new law, all tobacco product packaging will be standardized, featuring a single color, typeface and packaging. If Bill S-5 does not exclude premium cigars, gone will be a brand’s individual marketing elements like logos, embossments, fonts, colors or anything in between. From the band to the box the cigars are packaged in, everything will look the same. Bill S-5 has already been passed in Canada’s parliament and now awaits royal assent. 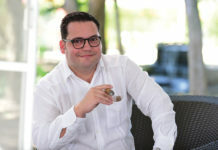 Health Canada predicts that if the bill passes without any exemptions, more than half of the cigars that are currently available in the country will likely disappear due to the high cost of compliance with the legislation on the manufacturers’ side. 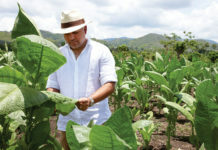 The bill’s implementation could also lead to a loss of jobs not only in Canada but also in the countries in which the factories that produce premium cigar products are located, including Nicaragua, the Dominican Republic, Mexico, Cuba and Honduras. The problem with Bill S-5 is that it applies to all tobacco products, so exempting one product category—such as premium cigars—would mean tobacco businesses in other categories would likely seek exemption as well, making it difficult for parliament to truly enforce the bill. Bill S-5 takes cues from Australia’s approach to plain packaging in that its regulations apply to all tobacco product categories. Tobacco manufacturers in the United Kingdom received some reprieve because its plain packaging applies to cigarette packaging but excludes packaging for premium cigars. Similar to Australia’s strict plain packaging rules, Canada’s latest anti-tobacco bill will reduce the visual appeal of products and will also remove the advertising and promotional aspects of packaging. While plain packaging may play a role in helping to make tobacco products less appealing to consumers, and thus may lead to some form of cessation, it comes at the price of business—for manufacturers, distributors and retailers. When tobacco companies attempt to fight against plain packaging legislation, they often lose. Their argument is similar to the one used in the ongoing fight between tobacco manufacturers and the U.S. Food and Drug Administration’s (FDA) deeming rule—plain packaging infringes on a company’s right to free speech on a commercial level. Many of the verdicts, however, side with those in public health, ruling that the needs of the many (the public) far outweigh the needs of the few (the tobacco companies). One such legal challenge waged against plain packaging took place in 2016 in the United Kingdom during “Tobacco Packaging  EWHC 1169.” In this case, British American Tobacco, Japan Tobacco International, Imperial Brands and Philip Morris International challenged the United Kingdom’s plain packaging regulations imposed on cigarettes. In the final decision, Justice Green argued, “It is wrong to view this issue purely in monetized terms alone. There is a significant moral angle which is embedded in the regulations which is about saving children from a lifetime of addiction, and children and adults from premature death and related suffering and disease.” Justice Green argued that manufacturers being able to plainly display their name on packaging and boxes was enough to differentiate one manufacturer’s products from those of their competitors, and stripping away a product’s attractiveness and branding wasn’t an issue. However, the livelihoods of tobacco manufacturers and retailers are directly threatened by plain packaging. 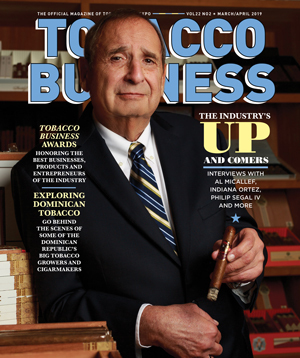 Julian Luke, co-owner of Victory Cigars in Oshawa, Ontario, Canada, is one of many retailers who feels that premium cigars and pipe tobacco shouldn’t be subjected to plain packaging, and that exemption for these products, as can be seen in countries like the United Kingdom, France and Belgium, is the key to saving the premium tobacco market in Canada. Nicolas Brum, general manager of Kretek International Canada, notes that tobacco products are a secure source of tax revenue, and says tobacconists in Canada go to great lengths to ensure that youth don’t have access to these products. According to Brum, tobacconists who have a yearly revenue of $1,000,000 are generating $500,000 in tax revenue for Canada’s provincial and federal governments. Wholesalers and importers also pay a corporate tax rate ranging from 10 percent to 38 percent. If plain packaging were to become a reality in Canada, tobacconists would see a reduction in revenue. The loss of tobacconists in Canada would also mean a loss of revenue for the government, and it would force consumers in Canada to turn to mail-order retailers or the black market that could emerge to supply these products. What is Brum’s prediction for the country’s premium tobacco segment? Consumers will move to other markets, and wholesalers will be forced to seek out other categories and markets, such as the cannabis industry, to make up for lost profits. A current initiative known as “The Better Cigar Plan” (bettercigarplan.ca), calls for Canada to adopt the British model for plain packaging, which would exempt premium cigars from Bill S-5’s draconian regulations. 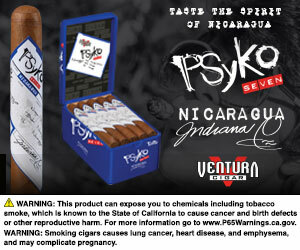 In Britain, premium cigars were exempted from plain packaging legislation due of the products’ lack of appeal to youth. This is the same argument currently being used by cigar manufacturers, retailers and advocates in the U.S. who are seeking exemption of premium cigars from the FDA’s deeming regulations. Is plain package effective? Based on research conducted in marketplaces like Australia and the United Kingdom where it’s a reality, yes. Smoking is on the decline in those “plain” countries, although plain packaging hasn’t completely eradicated tobacco use. While plain packaging is leading to a decline in tobacco use, including use among youth, the question is: at what cost? Tobacco retailers and manufacturers each contribute to local economies in their own way, usually through special taxes that are collected through transactions. Plain packaging can keep manufacturers from wanting to have a presence in those markets that are viewed as unfriendly toward their business and its products. If manufacturers pull out of a market, the retailers who carry those products suffer. If there is a lack of variety to choose from, consumers stop supporting certain retailers, and the tobacco market is therefore disrupted, saving the public—but at the sacrifice of business. So, back to the original question: Is plain packaging effective? For tobacco businesses, the answer is plain and clear.